The meeting of the trilateral working group on linking the energy systems of Azerbaijan, Russia and Iran was held in Moscow on October 13. This was stated in the message on the official website of the Russian Ministry. Coordination of the overall project model and the main aspects of the feasibility study of the interconnection of the power systems of the three countries was the main topic of negotiations. 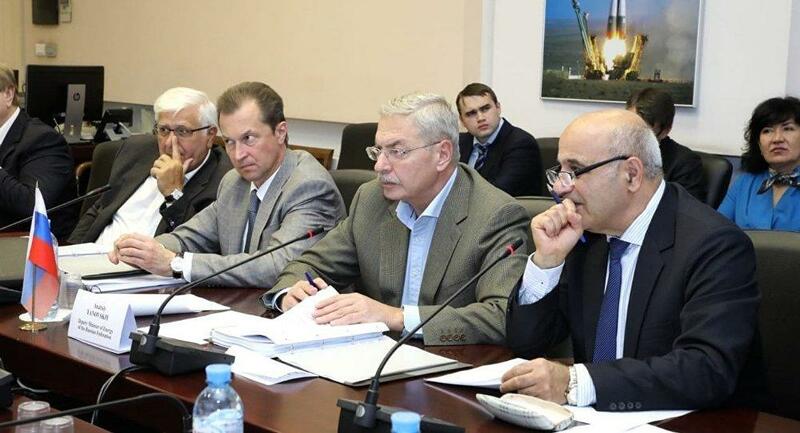 The meeting was chaired by Russian Deputy Energy Minister Anatoly Yanovski. The Iranian side in the negotiations was represented by Deputy Energy Minister Homayoun Haeri, the Azerbaijani side by Deputy Energy Minister Natig Abbasov. Following the meeting, representatives of the three countries agreed that interested parties should speed up the preparation of specific proposals on electricity trade in the three countries' integrated grid and consider the possibility of trial electricity supplies to Iran in 2019. 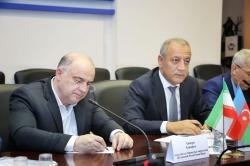 An agreement was reached at a tripartite meeting of the deputy ministers of energy of Azerbaijan, Russia and Iran, held in Baku in April, to hold activities related to construction of the second Yashma-Derbent interstate 330 kilovolt power transmission line between the energy systems of Azerbaijan and Russia. The capacity of the Azerbaijani energy system is more than 6,000 megawatts.